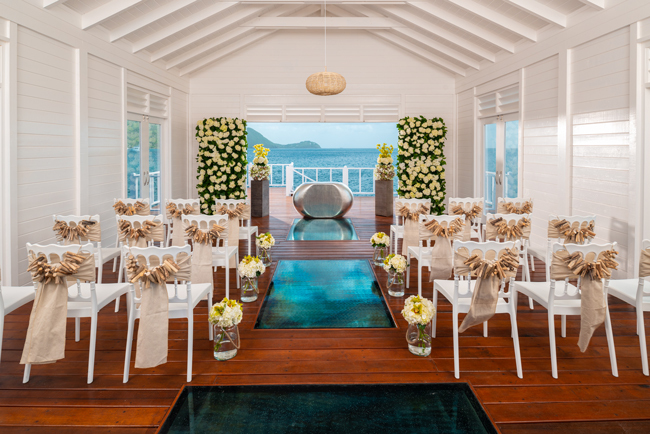 A once-in-a-lifetime love calls for a once-in-a-lifetime wedding, and Sandals Resorts are the most popular resorts for destination weddings for so many reasons. 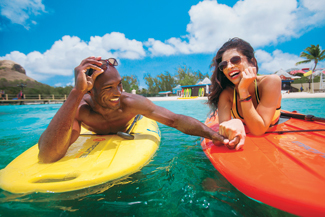 It all starts with their extraordinary collection of 5-Star Luxury Included® resorts on the best beaches across the Caribbean, in Jamaica, Antigua, Saint Lucia, Bahamas, Grenada, and Barbados. As if that’s not enough to tantalize newlyweds-to-be, Sandals is also the world’s only all-inclusive resorts that lets brides create their dream wedding and customize every detail from A to Z. Sandals makes it easy for brides to design their dream-come-true wedding, letting them mix and match décor options to reflect their personal style. Chairs can be enhanced with decorative slip covers and embellishments. 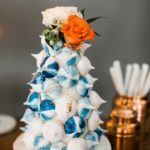 A vast array of placemats, table linens, place settings and table décor (think centerpieces and candelabras) is available to create a dazzling tabletop. 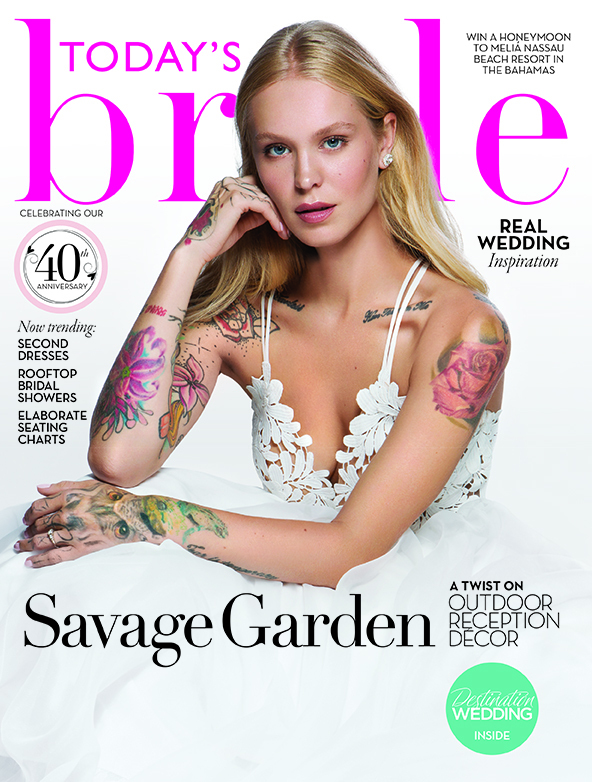 Sandals has styled everything—the colors, flowers, and finishing touches—to help brides bring their vision to life. Even the “bells and whistles” can be customized. 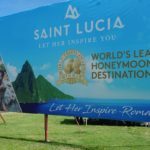 Sandals believes that the more the merrier, so they offer a variety of perks for larger wedding groups, everything from room and wedding upgrades to private parties and excursions. It really is a win-win for everyone. Brides get the wedding of their dreams, and their guests get the vacation of a lifetime. 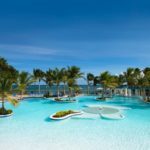 That’s because Sandals includes more land and water sports, daily scuba diving for certified divers, including top brand equipment and professional instructors. Landlubbers will find plenty of ways to get their game on, including championship golf courses in Jamaica, the Bahamas, and Saint Lucia, with no green fees in Jamaica and Saint Lucia. Foodies can indulge their palates with a mouthwatering 5-Star Global GourmetTM experience. Internationally-trained chefs create culinary masterpieces at up to 16 restaurants per resort where the ambience is as authentic as the dishes, from the regional flavors of Italy and France to the exotic tastes of the Far East. And with unlimited premium spirits served at up to eleven bars and lounges around the beach, around the pool, and on a rooftop, every day and night becomes a celebration. 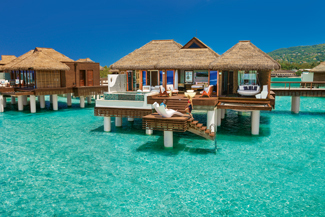 Over-the-Water Private Island Butler Villa w/ Infinity Pool at Sandals Royal Caribbean. At the end of the day, the happy couple can return to their Love Nest Butler Suite® that defies every standard of traditional design, with pools in the sky or suites floating directly over the sea, and where marble tubs are found on patios and terraces. 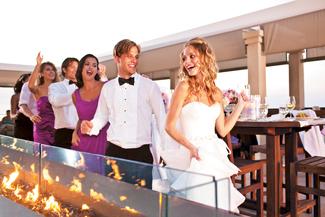 All offer 24-hour room service and professionally trained butlers who cater to your every whim. 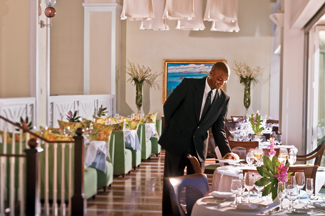 Best of all, everything is included at Sandals—even the tips, taxes, and airport transfers. And when you’re starting your new life together, isn’t it nice to know that, at Sandals, love really is all you need? 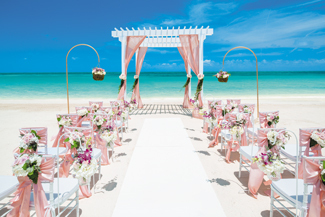 Visit www.sandals.com/weddings or call 1-877-SANDALS to learn more.